If you are in the business world you most likely have heard the name Peter Drucker, and if for some reason you haven’t you are going to learn more about the genius of a man, teacher and thought leader from my guest author William Cohen Phd. In my interview with Bill Cohen Phd and the author of “Peter Drucker’s Way to the Top-Lessons for Reaching your Life’s Goals” we explore in my interview the history behind Peter Drucker as well as some of his teaching and business management philosophy that are being applied in business every day around the world. Bill Cohen Phd was one of Peter Drucker’s first doctoral students, and became very good friends with both Peter and his wife. What students of Drucker’s appreciated was the simplicity that made up the business philosophies, like his four basic systematic strategies for entrepreneurship. First, dominance of a new market or industry. Second, development of a market which is currently unserved. Third, finding and occupying a specialized niche. Fourth, Changing the financial calculations of the situation. You must admit that the advice is sound, practical and most likely will result in success but the key is timing and being able to execute on these systematic strategies. I encourage you to listen to my interview with Bill Cohen as we explore the life and business management philosophies of Peter Drucker. 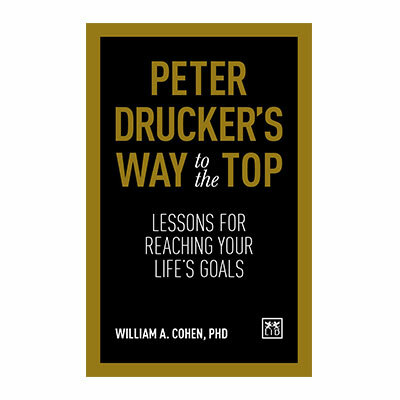 If you want to learn more about Bill Cohen and “Peter Drucker’s Way to the Top” you can click here to be directed to his website. I hope you enjoy the great interview with Bill Cohen Phd. and author of “Peter Drucker’s Way to the Top”.